The only book of Kasparov about Modern Chess which I didn't read, is Garry Kasparov on modern chess, Part 1: Revolution in the 70's for the simple reason that I prefer to study recent openings. A nice bookreview of this book can be found on the site of the torrewachters. Recently the question was raised on chesspub if we can also speak of a sort of revolution in the new millennium. Very soon the remark was made that there has been in the last decade an explosion (and still ongoing) of new systems and variations in such magnitude that likely a book of the 70's would only be a chapter today. This is one of the main reasons why we have today much more repertoire-books as e.g. 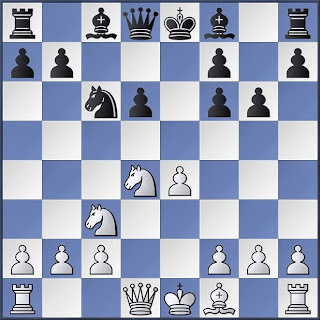 Playing 1.d4 Indian defences van Lars Schandorff instead of opening-manuals as e.g. The complete Albin counter gambit van Luc Henris. Without a doubt the computer has hereby played an important role. Previously players were admiring the tactical wizardness of players like Mikhail Tal or Rashid Nezhmetdinov. Today every player backed up with some good home-analysis can show some fancy tactics which was illustrated in my blogarticle iccf. Players aren't afraid anymore to play hyper-sharp variations because they know that their engines have shown in advance it is fully playable. Besides tactics, we also see a remarkable raise of gambits in which material is invested for dynamical characteristics. The Marshallgambit is likely one of the most known systems which became very popular last decade even in such magnitude that a lot of white-players have given up the traditional Spanish setup and exchanged it for the slower d3 concept. On my blog I presented an example in my blogarticle eindspelen met ongelijke lopers deel 2. For the Marshallgambit we can mainly speak about expanding the theory but last years we have also seen many new fully playable gambits. I remember e.g. the astonishing Gajewski 2.0 gambits which caused a wave of attention in the chessworld as it concerned an extremely popular opening. Finally I also see a 3rd kind of tendency in evaluating positional disadvantages compared with dynamics. An opening like the Berlin was regarded a few decades ago as nonsense but today most topplayers have it in their repertoire with white and black. In fact is it pretty absurd what black is doing. He let himself volunteerly lose the castlingrights, destroy the pawnstructure (double c-pawns) and on top white gets a few extra tempo. Despite all that a computer doesn't succeed in forcing an advantage, at contrary as black often has good counterchances if white plays a bit inaccurate. 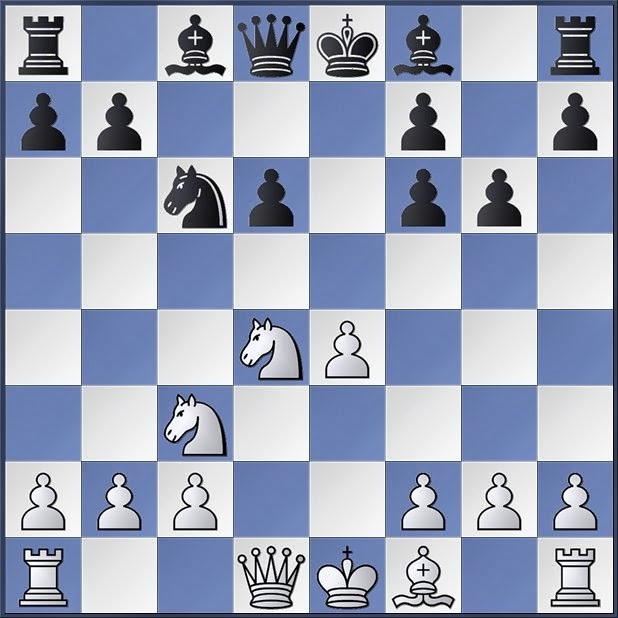 Recently I met by coincidence a similar concept in the Rauzer in which black via serious positional concessions, tries to get very dynamic play. I mean the system with g6 in which black permits to destroy completely his pawnstructure often intending to sacrifice a pawn. Nevertheless we see recently several strong grandmasters willing to play with the black pieces. I am thinking of 2012 Junior Worldchampion Alexander Ipatov, 2011 European champion Vladimir Potkin and +2600 Evgeniy Najer. A fantastic game however lost by black but not in the opening, was played beginning of this year in Wijk aan Zee between the Swedish grandmaster Nils Grandelius and the earlier mentioned Alexander Ipatov. In the last New in Chess Yearbook 107 there is a complete chapter covering this system which I by coincidence discovered thanks to a review in Checkpoint, a monthly column by Hansen on Chesscafe (readers having this book and willing to share the knowledge of the chapter so I can verify my personal analysis, will certainly do me a favor). So we can expect in the nearby future that more players will pick up the system. Myself I didn't have to wait long before encountering the system on the board as in July in round 7 of Open Gent, a young promising Belgium player Yasseen De Herdt was willing to test me with it. During my preparation I discovered thanks to the latest twics and downloading the games of the just ended Belgium championship that Yasseen had won 4 recent games with the system so I was warned and didn't consider the opening lightly. I plugged the whole morning to find some sort of advantage which wasn't easy with 2 small children hanging around me begging for attention. The longer I was investigating the variations, the more I was surprised about the vitality of the system. Finally I anyway found something new of which I supposed (there was insufficient time to check everything in detail) that it could be an amelioration. So white won pretty easily whereby Stefan Docx interpreted my victory as something fully linked to the very weak openingchoice of black. However I believe this is incorrect as black can easily improve his play in the game. Fully equality I can't find against the setup for which I chose but even with the small disadvantage it doesn't mean that black needs to lose. Maybe a grandmaster will manage to defend successfully the disadvantage but I have to admit that I wouldn't volunteerly play such position. For a player, liking gambits (so I don't belong in that category) it is certainly a good surprise-weapon but to play it every time seems risky, specially if the opponent can/ will prepare himself. If we may speak about a revolution in the millennium then I guess we realize today that much more positions are playable as we imagined previously. Personally I find this a refreshing thought in comparison with pessimists, thinking the computer will be the end of modern chess.